Design Presentation specializes in legacy drawing conversion, vectorization and digitization. Hundreds of clients in North America and Europe regularly use our legacy drawing services to convert their legacy drawings from raster to CAD format: architectural, civil, electrical, mechanical, plumbing, landscaping, maps, archive drawings, schematic diagrams and line artwork. We can work on over 300 different image formats such as IMG, JPEG, PCX, PDF, PICT, GIF, TIFF, etc. and convert them into fully editable multi-layer CAD drawings. Companies often don’t have the resources to convert their legacy drawings into fully editable digital formats. That’s where Design Presentation fits in; we start with a blank document and recreate the output using AutoCAD (DWG, DXF), MicroStation (DGN), VectorWorks, etc. We can give you a manual, auto-vectorized or a hybrid (combination of manual vectorization and auto-vectorization) output according to your preference. 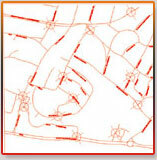 Our team of experts is always on hand to convert your legacy drawings to vector format. 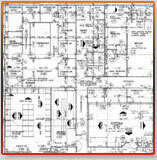 Our legacy drawing conversion process is second to none, and our legacy drawing conversion specialists will work around the clock to get your legacy drawings converted on time. 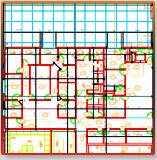 Design Presentation can convert all of your legacy drawings with amazing precision and accuracy. 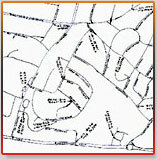 We have a team of experts always on hand to convert your legacy drawings. The converted files always look professional and accurately reflect the original legacy drawing. Design Presentation’s legacy drawing conversion specialists will give your project the effort and attention to detail that it requires. Design Presentation will give you the best legacy drawing conversion results possible at the most competitive prices around. If you send us your legacy drawing conversion projects and drawings, we can process your drawings, and have them sent back to you overnight. Why trust anyone else for your legacy drawing conversion needs when you can have the leader in the industry work for you?